Nature never ceases to amaze me. 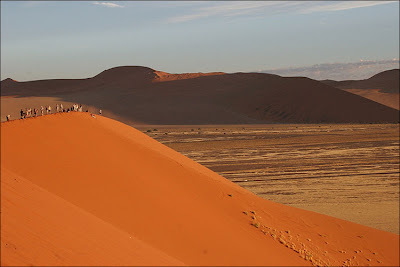 Look at these 12000 feet vistas of sand in Namibia. You are sure to gape in awe and wonder at the wonderful artwork of nature. I first took notice of the mammoth size of these in the Where the hell is Matt? video. 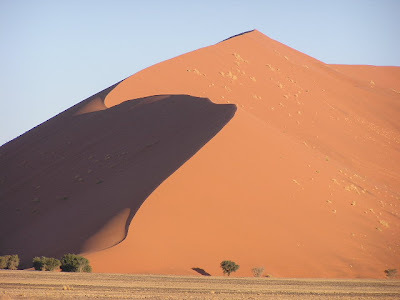 Then yesterday a photo of the dunes popped up on BBC photo section. la natura, li saluto !